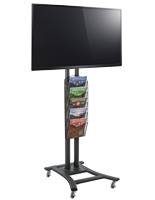 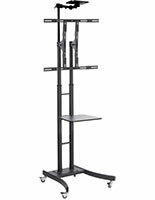 Adjustable Height from 44" to 71.5"
These TV carts with literature pockets have a durable steel fabrication and their compartments are made of clear acrylic. 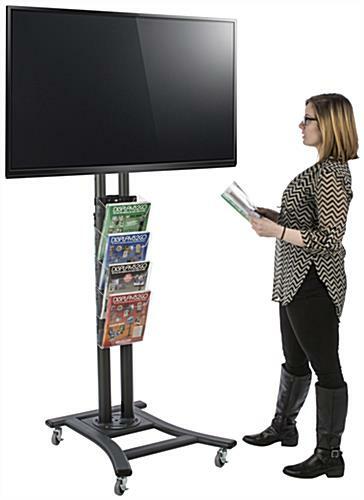 The stands are great for offices, schools and events because they have (4) locking caster wheels that makes mobility easy. 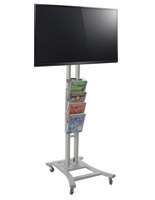 The steel TV carts' (4) clear acrylic slots for displaying 8.5" x 11" magazines. 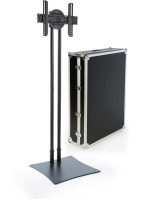 Each fixture also has an adjustable height that can be placed at one of (7) ranging from 44" to 71.5" tall. 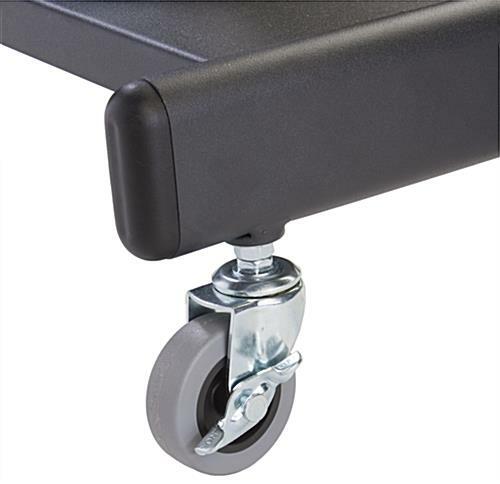 The carts' caster wheels have a locking design that allows them to made more stable in any environment. 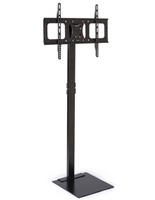 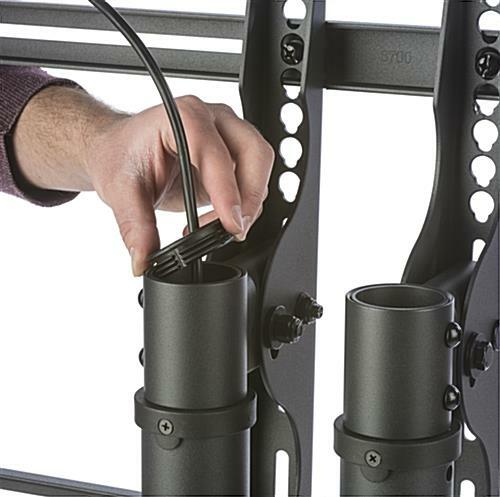 With their neutral balck finish, these stands will be able to fit into any environment.